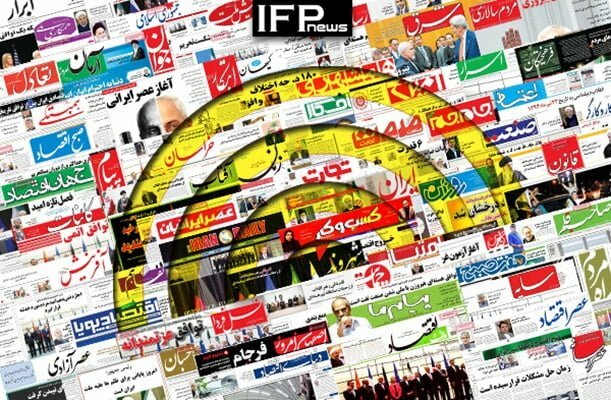 IFP has taken a look at the front pages of Iranian newspapers on Sunday, August 12, 2018, and picked headlines from 17 of them. IFP has simply translated the headlines and does not vouch for their accuracy. Newspapers today widely covered the Sunday summit of the heads of Caspian Sea littoral states in Kazakhstan, during which a convention on the sea’s legal regime is to be signed by the five countries. Also a top story was an order by the Leader of Iran’s Islamic Revolution Ayatollah Seyyed Ali Khamenei to swiftly and justly prosecute those involved in financial corruption. Several papers also highlighted a decision by Iran’s Guardian Council to approve amendments to the country’s Counter-Terrorist Financing (CTF) law, earlier ratified by the Parliament. The law is part of the FATF standards that need to be implemented by the Islamic Republic. 2- Coalition against Sanction: Can Russia, Iran, Turkey Resolve Each Other’s Problems? Washington Tasks Riyadh with Probing into Recent Crime in Yemen! 1- Western Governments Only ‘Express Regret’ over Slaughter of Yemeni Children!